A few of the main objectives when it comes to your Nissan are likely having fun behind the wheel, and ensuring your vehicle runs smoothly. Of course, to keep things on the right track, service is needed, along with the right auto parts. 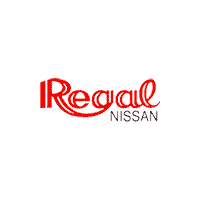 In terms of accessories and parts for your Nissan, we here at Regal Nissan are your connection as we have a wide selection of quality OEM parts. When you are in need of parts, going directly through the dealership is the best course of action for a variety of reasons. For starters, we’re more than likely to have the part you’re looking for, and if not, we’ll order it right from Nissan, or a trusted parts distributor. There are lots of places out there that might say they have the right part, but you’re running the risk of purchasing something that doesn’t fit your Nissan, or is fraudulent, which can lead to more expensive repairs down the line. Coming to us avoids that problem. If you want to order some parts or need help determining which ones you need, feel free to contact us at (770) 650-5000 or fill out our parts request form below. You can also browse our Nissan parts eStore using the link below, and we always welcome you to stop in and see us during our regular business hours to speak with a member of our parts team.